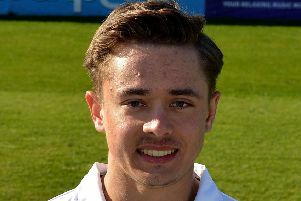 Derbyshire begin their Division Two campaign with a home game against Durham on Friday and Houghton is confident his team can confound the pundits by challenging for one of the three promotion places. Now head of cricket, Houghton was Derbyshire’s batting coach when the county went up as Division Two champions under Karl Krikken seven years ago. “I take a lot of encouragement from the year we went up in 2012 under Krikks,” Houghton said. “No one gave us a chance then but what we did, through an accumulation of some power up front with our overseas players Martin Guptill and Usman Khawaja who gave us some good starts and then we stacked it up with runs in the middle order. “We always managed, even on difficult wickets , to get very competitive scores which allowed us time to bowl sides out and I think we are in that position again. “I think we can safely say playing on our home ground where we tend to leave a little bit of grass on to give some pace and bounce that we’ll probably bat first so we are going to have to take on difficult batting challenges. “But with the strength in depth in our line-up it’s not something which worries me at all, in fact I think it will be a real bonus for us . 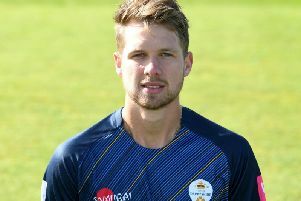 Derbyshire will need big seasons from experienced players like Wayne Madsen , captain Billy Godleman and New Zealand pace bowler Logan van Beek who fills the overseas berth for the summer. The 28-year-old was signed after a glowing recommendation from former Derbyshire great John Wright who is still involved with the county on a consultancy basis. “Logan has got good pace and he’s also a decent batsman so we think we’ve got exactly the right guy and the fact we’ve got him for the season is magnificent,” Houghton said.